Red Release™ is a unique system for the effective removal of red stains from carpet and upholstery. It comes in two stages: Part 1 – Spray and Part 2 Sprinkle. Most often, Part 1 is all you need. For more stubborn stains Part Two kicks it up a notch making Red Release™ the most comprehensive, thorough and effective red stain remover in the industry even on old stains that you may have attempted to remove years ago. Red Release™ Part 1 – Spray makes up to 3 gallons of ready to use product with an indefinite shelf life (it will never weaken or go bad) and can be used with or without steam or heat. 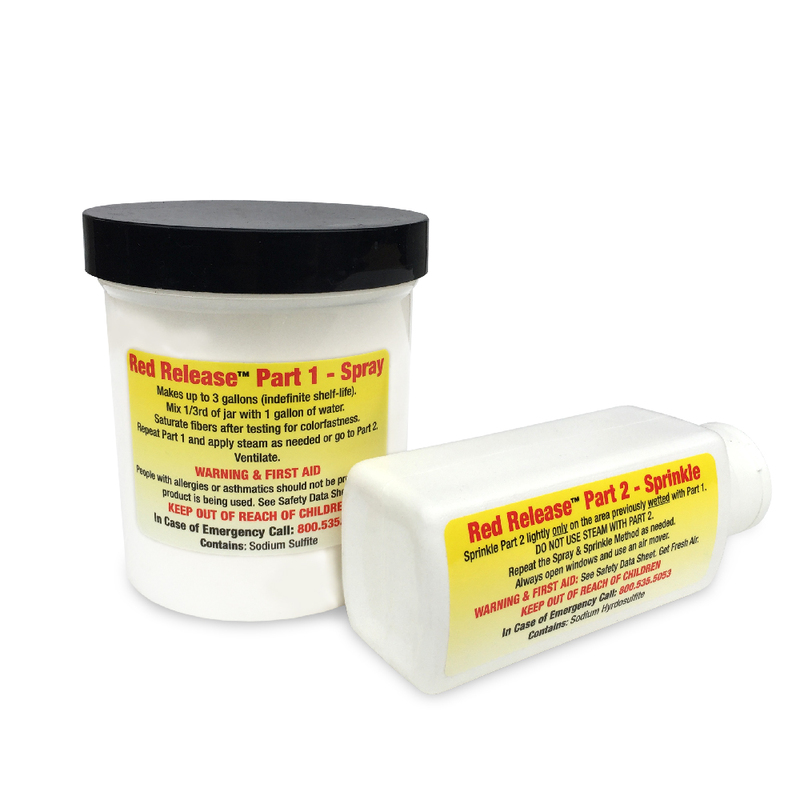 Red Release™ Part 2 – Sprinkle is used in powdered form, is used sparingly and only on areas previously wetted with Part 1 Spray.